BACK ROW: 1.RandallDennison(63), 2.BarbaraAllington(63, 3.DickBoehning(63), 4.RichardFlora(63), 5.BarbaraStrunk(63). MIDDLE ROW: 1.RolphErickson(64), 2.RonaldPopp(63), 3.SylviaSchwerdman(63), 4.LindaArmstrong(63), 5.AnnaMargaretBell(64), 6.DeweySkaggs(63), 7.TerryJones(64), 8.MarilynCallahan(64). 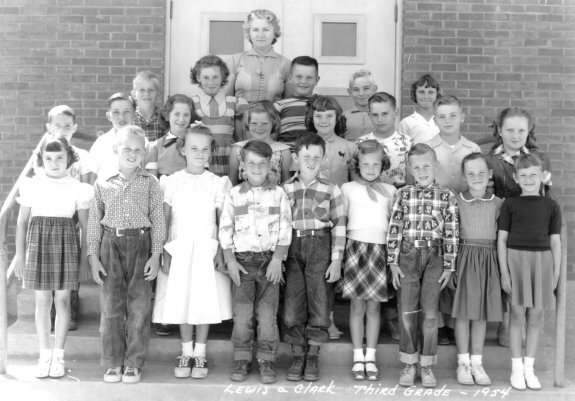 FRONT ROW: 1.MaryBethMeyer(64), 2.GeneGinther(64), 3.DonnaKoshman(63), 4.BillieFreeland(63), 5.AllenMoulthrop(64), 6.PattyKendall(64), 7.ChuckLollis(64), 8.JudyShibly(63), 9.Susie Dill(64).